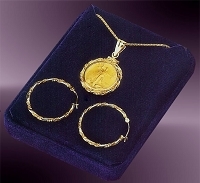 All Aurista coin necklaces include an authentic coin pendant and chain at a savings over purchasing the items separately. 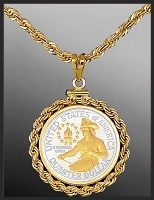 Featuring handpicked uncirculated and collectors' coins enhanced with 24kt gold and pure silver, each American made pendant is crafted with extreme precision, allowing us to provide a lifetime warranty. 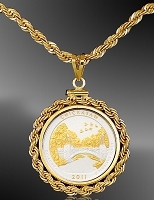 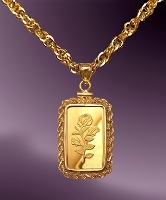 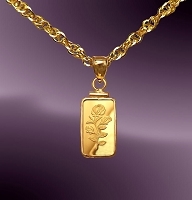 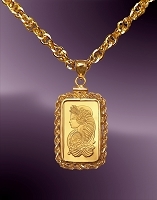 Pure 14kt gold, gold-filled or IP gold chains complete the necklaces. 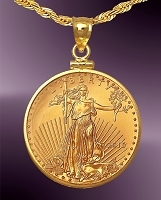 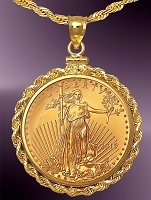 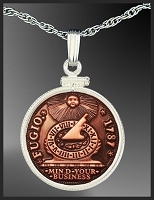 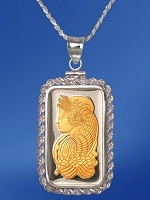 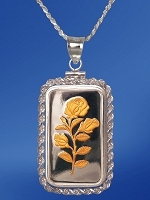 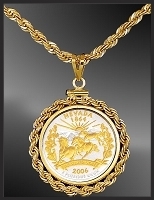 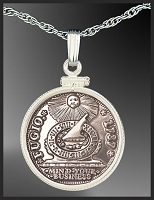 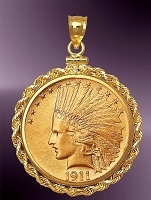 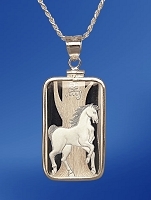 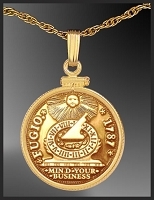 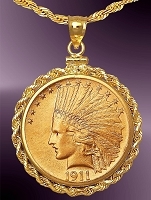 Most include a certificate of authenticity and unique numbered signet.